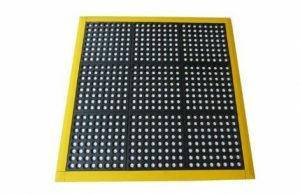 We offer a variety of rubber matting products for bench surfaces, conveyors, tool trays, and flooring, including safety and anti-fatigue mats. Create a safe work environment for in-plant, workshop, barns, high traffic areas, athletic facilities and more. 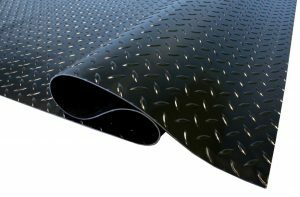 From rolls to sheets to square tiles that can be configured on site, with diamond surface, hole cut outs, and smooth surface, we can provide rubber matting options for your application.